A conundrum, the 12 year-old expression of The Glenlivet can be found in a surprising array of American retail outlets. I got my current bottle at Rite-Aid for $24. 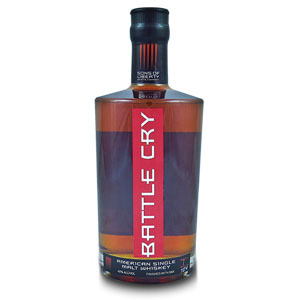 One might be tempted to write off the biggest-selling (and one of the most inexpensive) Single-Malt scotch in America as a “for the masses” bottling of quality-compromised mass-produced watered-down imitation of real Scotch whisky. However, a taste of The Glenlivet reveals a delicate balanced whisky with floral and citrus flavors, a bright fresh minerality, and a lingering sweetness. The Glenlivet epitomizes the “daily dram” concept of a whisky that you don’t have to feel bad about drinking frequently. While unable to stand up against heavier, flavor-forward Scotches like The Macallan and Aberlour, nor able to compete with the delicacy and complexity of pricier Speysiders like The Balvenie, this Scotch is nevertheless a must-have for beginning whisky drinkers, and even commands a constant presence in the cabinets of many enthusiasts. While The Glenlivet is aged partially in second- or third-fill bourbon casks, it does not seem to be in them long enough to pick up any heavy oakiness. At most, a background of vanilla is derived from the wood. Nose is a limited range of sharp and herbal notes, not silky or caramel-like. Aromas of grass, hay, and green apple. There is some undertone of sugar and butter, like stale shortbread cookies. There is a cereally brightness to the flavor, developing out of the initial burn with notes of vanilla, spices, and brown sugar. Reminds me of hot oatmeal with brown sugar and cinnamon. There is something Bourbon-like about the dry notes, like a corn syrupy sweetness instead of a malty one, but it is a pleasant sweetness. The finish is of medium length, but rounds out the earlier flavors, and does not lessen the experience. More cinnamon. All in all, this is a two-dimensional whisky with some pleasant flavors and no outstanding negatives. It has no outstanding positives either, but for a single-malt that you can get for $24 at Rite Aid, this is a good one to keep on hand. 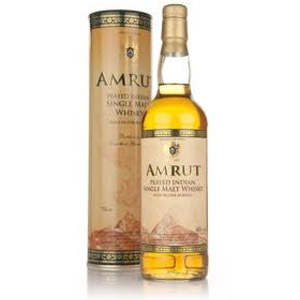 Its tame flavors also make it a prime starter whisky for newbies. Acquired: (Bottle): Rite-Aid, Folsom, CA $24. I like your review; it is fair and accurate. The Glenlivet 12 year was my introduction into the world of Single Malt Scotch. I have many others I drink more often now, but I keep a 375 ml bottle of it around when I want to return to Genesis basically. It’s kind of the mac and cheese of Scotch for me. Nothing terribly impressive about it but sometimes it’s all I want. Thanks for your review. Thanks William – I feel the same about Glenlivet 12 – along with Jameson and Finlaggan, they’re my go-to “budget” whiskies for those nights when the wallet’s feeling a little light. 😉 It’s also a good choice in badly-stocked bars, since it’s almost always available along with the Johnnie Walker (which I don’t care for). I am a confirmed Glenlivet 12 fanatic. I attend scotch-tastings at my local distributor every quarter and am treated to some very good ones, some even costing in the $400-500 range. I invariably come back to Glen 12, however. Does that make me an unrefined boor? No? Please point out in the above article or in the comments where I said anything of the sort? Glenlivet drinker for 30 yrs. I brought two bottles for the Christmas Holiday 2011. And it may be my taste buds but something have changed. It has a harsher taste, is not as smooth going down and the nose is off. Please comment so my 30 yr love affair is not over. It’s always tough to determine which ‘batch’ a bottle comes from when dealing with mass-market single malts that don’t label batch numbers or even years on their bottles (which is most of the distillery ‘standard’ bottlings like the 10 and 12 year olds). That makes it very hard to track differences in batch quality. You may have just encountered a bad batch or (perhaps?) a bottle infiltrated with air prior to your purchase. If I acquire another bottle of Glenlivet 12 in the near future, I’ll try to compare it to my notes here to see if I can detect any deviation. In the meantime, maybe now’s a good opportunity to expand your horizons and try a few other quality single-malts. You might enjoy The Balvenie DoubleWood (12 years old), or the Glenfiddich 15 year-old. Both cost more, as Glenlivet 12 occupied a sweet spot in price/quality tradeoff. Johnny Walker Black Label may be another option, if you don’t mind blends. You could also try asking your question on one of the whisky-related forums out there, and see if any of the ‘experts’ has noticed a similar problem. Good luck! I would be curious if you still feel this way in 2018. I purchased a bottle and, maybe it’s because I’m drinking Aberlour, Ardbeg, Bowmore 15, Old Pulteney 12, Glenmorangie, but GL tasted bland and has a hard burn. The nose is hot and the mouth is hot. Even after sitting for a while, its still mostly alcohol burn and nothing of interest. I actually do get some oak or oak spice. Very little sweetness. It’s just not enough to put up with the burn. I can not understand how people would ever choose this over Glenfiddich 12 or Glenmorangie 10. And in a world where I can buy Monkey Shoulder for $28, GL will never see my Scotch shelf again. 36 bucks out the door at Costco up here in Washington, but this is one of my favorites! I love the pineapple smell on the nose of this one too! I have tried all types of johnnie walker and none of them have been as rich or ful/tasty as the glenlivet 12year not sure but could be the fact that johnnie is a blended but the smokey taste of the glenlivet and the woody warm after taste makes this one of my favourite scotches that I have tried; however I was wondering if there are scotches similar that are (god forbid) better? All of the single-malt scotches that are “similar but better” are more expensive, so as usual you get what you pay for. The Balvenie DoubleWood 12 year is a good choice ($40 ish if you get a good deal), Glenfiddich 12 is very similar but (I think) not quite as good. 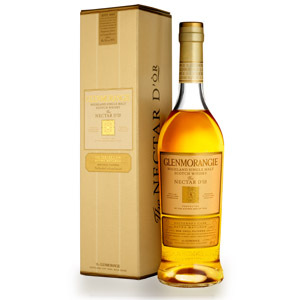 Glenmorangie 10 year is similar, and better. Highland Park 12 is smokier, and better. Dalmore 12 is fruitier, and better… lots of choices! Glenlivet 12 is a great introduction to the world of single-malts… but I know lots of whisky lovers who still drink Glenlivet 12 regularly – you can’t beat the price. 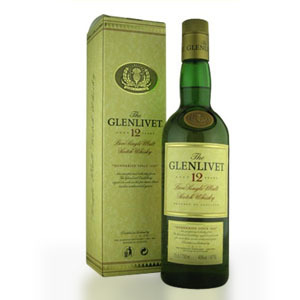 I absolutely love the Glenlivet 12.. i dont drink a lot of scotch, iv had some very expensive ones in my time. Enough that i can say i dont rwally enjoy old oaky scotches. Im more of a burbon guy myself. Which is why i love the drinkability of the glen 12, nice flavor and smooth finish… and for the price i can keep it flowing. Great site and review. I have been drinking single-malts for maybe 4 years now and always keep a bottle of Glenlivet 12 on hand for the nights (mornings?!) when I’m not ready to face the peat of my more expensive bottles. However, at least in CT/MA where I am, you can get a Macallan 12 for about $6-8 more and it’s just a more satisfying and tasty dram, IMO. Keep up the good work! My bottle of Glenlivet is nothing like your notes say. SOn the nose it stings and you can taste alcohol trough it. I have to get a another sample of it some where. I was just referred to Glenlivet-12 by a friend. I’ve been purchasing Mccallum-10. I’ll let you know my thoughts. i know nothing about the different scotch’s available and find your review very helpful. I look forward to my next bottle. macallan 10 is like sipping a whiskey in heaven. i was just referred to Glenlevit-12 by a friend. I know nothing about the different scotch’s and find your review very helpful. i’ll let you know how The Glenlevit-12 was compared to MCCALLAN-10. The Glenlivet 12 is delish! Around me it is about 50$. Can you really buy scotch at Rite Aid? Not by me. This 12 year old has been my daily driver for longer than I want to admit. Glenlivet (12) for the price is a real deal for a 12 year old. I drink my premiums on the weekends or special holidays. Like art, there are no rules, if “”you really like it’s taste as I do then drink it. I really do not care for the standard Glenlivet…At the local Costco I can get it for $32 – however for $42 I can get the Nadurra which IMHO is vastly superior. That’s a *great* deal for Nadurra! Very much worth it! I used to be able to get Glenlivet 12 for about $22 around here, and it was definitely worth that. $32, not so much. Nadurra for $42 though, I’d buy a bottle or two myself… alas, my Costco doesn’t have that one at the moment. I have been drinking scotch since 1964. Spent three years in Europe and have tasted over 100 different types of scotch. I always go back to Glenlivet 12 as my social scotch and have introduced other scotch drinkers to it. 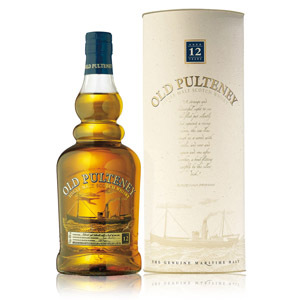 It is a smooth, aromatic and flavorful scotch. I think its best quality is that it doesn’t taste like the inside of an oak barrel. My first taste of scotch was roughly 40 years ago when I mistook my dad’s glass with a little scotch in it for my glass with a little tea in it. I was about 10 at the time. Didn’t try scotch again until I stumbled across this website a couple of months ago and had my curiosity piqued. l decided to try Glenlivet 12 because it seems to be considered somewhat of a starter scotch. I’ve decided I quite like scotch and will be branching out and trying a few different ones in the near future. I believe it was around $38 for 750ml. Thanks for a really cool and informative website. Thanks for the recommendations Nathan. The Doublewood is already on my list. I tried some Aberlour 18 recently also and really liked that, but at over $100 a bottle including tax that’s a little more than I’m willing to spend. What do you think about Aberlour 16? Hi Randy, I believe that Aberlour 16 has less sherry cask influence than the 18, but it has a lot of fans. I haven’t personally reviewed it yet. I really like Aberlour’s “abunadh” bottling, which doesn’t have an age statement, but has a LOT of sherry cask character. It’s also cask-strength, though, so it can be very powerful and is worth watering down a little. Thanks, I’ll keep that in mind about the Aberlour 16. The local liquor store has the Abunadh, I may give that a try as well. As stated I’m new to scotch and like the Glenlivet 12, but the Aberlour 18 seems to be in a while other realm. I’m not much of a bar goer, but there are a couple pretty close. I’ll have to see what they have on hand. I am relatively new at the bourbon/scotch/whiskey game. I’ve tried several varieties over the last 5 years or so, and although i am rarely disappointed, i have been left in search for something more. This site led me to the glenlivet 12. So far this is easily my favorite. Thank you for the reviews. I look forward to trying more brands and using this site as a guide. I thought I’d share an opposing viewpoint on The Glenlivet. This was the first scotch I tried, and to be honest I found it not very interesting; a bit thin and dry, not impressive to me. Because of that I didn’t try another scotch for a few years, sticking with bourbons, cognac, and even a good sipping tequila from time to time. I also became a fan of Macallan 12 year, but always thought it wasn’t a “true” scotch due to the heavy influence of the sherry casks. Then a few days ago I bit the bullet and picked up a bottle of Laphroig. Wow – so that’s what the fuss is all about! After a few sips I am already a fan. But this just solidifies my impression of The Glenlivet – not bad, just kind of meh. I agree whole heartedly with not only your review, but with most of the comments. Thin? Sure. Do the flavors explode on the first sip? No, not really. Does the finish last? Well, maybe a little. However, it is what it is, and it is very good at being just that. For me, this is a wonderful dram to take out to the porch with a book on a warm day. Is it the only whisky on my shelf? No, but it is unique and one that I like. I think that’s what is important, drink what you like when you like to drink it. For me, on some days, this one is the finest whisky in the world (the days I’m in the mood for it). When in the mood for Laphroaig, it isn’t my favorite. But. That’s logic. And uisge beatha for you. Like the weather, you wouldn’t want the same type every day :-). I had liked this scotch, here in washington state with the new laws it was going for $27 plus the taxes which brings it up to like $36. it was my go to scotch. relatively rich flavor for the price. I liked it a lot. then for some reason, the price was raised overnight by $5 at total wine and spirits which is the new super store in washington state now. then for some reason, it quickly came back down to the old price. so I bought another bottle, and this bottle is horrible, I can’t even drink it. it tastes like a wine bottle that has been corked. it tastes dusty and corkey. could it be a new batch that was not good? very strange and not something I would have expected at all from a 12 year old glenlivet.it is undrinkable and I have tried it hoping it was just me, many times and I had to pour it out. watch a grown man cry. I haven’t tried recent batches of Glenlivet 12, but it is possible. The batches are huge, though (HUGE), so it’s somewhat unlikely that a whole batch is markedly worse than previous batches unless it’s a result in a change in the company’s quality management policies. It is, however, possible for individual bottles of whiskies to become corked, just like wine, although it’s much rarer. (http://spiritsjournal.klwines.com/klwinescom-spirits-blog/2010/8/22/corked-whisky.html) If you’d returned the bottle (with bad whisky inside) to the store, they might have given you a replacement bottle, if it was truly corked. Instead, you have to either buy a new bottle and risk it, or find an alternative brand (try Glenfiddich 12, maybe, or Speyburn 10 which is similar). Good luck, and cheers! I get a real sour finish that lingers hours after tasting, so I will pass. I began my journey into scotch after discovering your article “how to pick your first scotch”. I discovered many fabulous bottles for a somewhat decent price (right now you can find Ardbeg, lagavulin, aberlour a’bunadh, laphroaig 18, Bruichladdich classic laddie, Oban 14 plus a bottle of Rittenhouse in permanence and a rotation of bourbon, right now Russel Reserve 10y) but I had NEVER tried the Glenlivet 12, until yesterday while waiting for my flight in Denver and I have to say I actually liked it a lot. Simple, sure but nice clean flavored, good finish and pleasant all together. I remember trying the 18 and not being impressed but this one did considering it is supposed to be the volume fit for all! Just starting out with single malts and I tried the Laphroaig 10 because it was staring me in the face at Costco for a decent price. I also picked up the Glenlivet 12 at the same time. Wow. I love Mezcal, so the Laphroaig 10 was smokey and delicious. After reading your “single malts for beginners” guide, I guess I started out backwards. After now trying the Glenlivet 12 I can guess that I’ll love Scotch on the whole spectrum. I really get the sugar, butter and stale shortbread cookie nose. I actually get hungry while smelling this. Hot oatmeal with cinnamon taste? Check! Cinnamon and short aftertaste? Check! 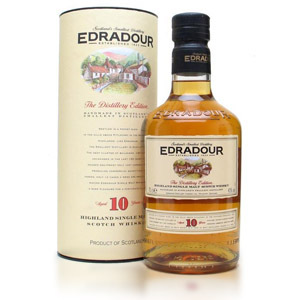 I find this a beautiful and easy sipping whisky to get started on. Thanks for your time and knowledge. Cheers. Found your site last night and found it very informative. I have been a long, long time Jack Daniels drinker, preferably Gentleman Jack. I have wanted to try a single-malt, but have been reluctant due to the cost. Yesterday while at my fav liquor store, I saw a 375ml bottle for Glenlivet 12 yr old for an $14, so I got it. I started this morning with a shot in a round whiskey glass neat. The urn was strong but the flavor was delicious. I have no idea what I tasted but I liked it a lot. Now trying a shot and a half with 4 drops of filtered water, that I do not care for, way to harsh in flavor and burn. I will be watching this site regularly and hope to get better single-malts. Thank you again, and Merry Christmas.